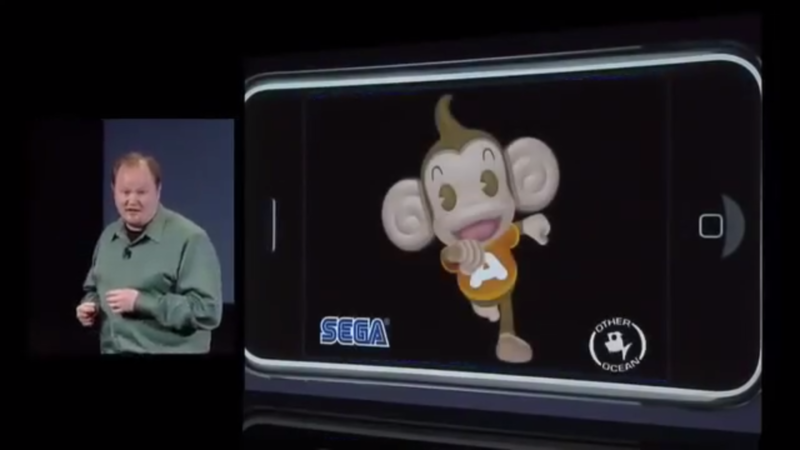 Mike Evans has been working in mobile since before it was cool: He was with SEGA when his former colleague Ethan Einhorn presented Super Monkey Ball at Apple’s iPhone SDK reveal event back in March 2008. Two years prior, when Evans first joined SEGA, the company was in a transitional period. SEGA pulled out of the video game hardware business in 2001 after their Dreamcast console didn’t gain traction, restructuring to focus on full-fledged third-party game development. Later, SEGA merged with Japanese pachinko giant Sammy in 2004. These changes, Evans tells us, gave him the chance to help re-establish SEGA as an industry leader again. And what came out of their partnership with Apple was a mobile version of Super Monkey Ball that launched alongside the iPhone 3G and App Store, priced at $10. In the years since releasing Super Monkey Ball, things have changed. The distribution power of the iOS and Android platforms forced businesses to rethink their pricing strategy. Today, the majority of mobile games are free for this very reason—making $10 to download sound like $1 million in retrospect. Now the chief marketing officer of mobile in western territories at SEGA, Evans has a new plan to grow the company’s mobile gaming business. In this Fyber interview, Evans walks through SEGA’s journey on mobile including Sonic Dash’s move from paid to free, the idea behind their recent ad-supported, retro gaming initiative SEGA Forever, and the network effects driving their new mobile business strategy. The only constant in the mobile market is constant change. SEGA knows this constant change all too well. While SEGA gained some first-mover advantage with App Store launch title Super Monkey Ball and other mobile games that followed, they continued to grapple with the mobile pricing strategy puzzle. “What’s been really interesting to see on mobile is the way business models have evolved, the way people design games has evolved, and the way we market games has evolved,” Evans says. In March 2013, SEGA released Sonic Dash on the Apple App Store, an endless runner in the same vein as another hit title in the genre, Temple Run. Dash was originally launched as a premium title, priced at a more modest $1.99—a significantly lower price than Super Monkey Ball’s $10 price tag from 2008. However, by this time, 9 out of 10 apps in the app stores globally were free to download. Still, SEGA was asking for quite a bit for Sonic Dash from the majority of mobile users. 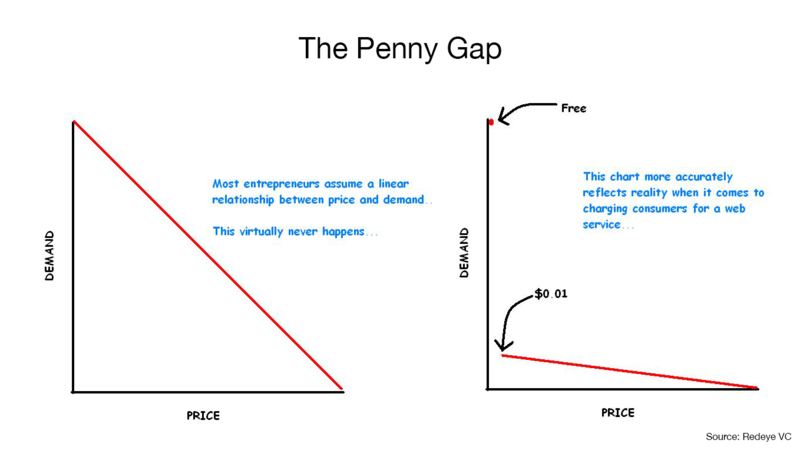 What SEGA, and almost any company playing in the game of mobile at the time, experienced was a phenomenon called “The Penny Gap.” According to First Round Partner Josh Kopelman, the biggest gap any software company must overcome is the gap between free and a penny. Indeed, as price goes down for a mobile game or app, demand goes up, but the relationship between the two isn’t perfectly linear. Rather, the difficulty is getting a consumer to pay upfront for a game or app, especially when most of the competition is priced at $0 in app stores. Evans knew the realities of the Penny Gap all too well. “We’d actually launched Sonic Dash as a premium title, but there was one eye as well on taking this title to a free-to-play perspective,” he explains. After running a revenue forecast shortly after launch, Evans says he planned to change Sonic Dash from $1.99 to free and, in doing so, put in a rudimentary ad monetization model to extend the game’s revenue potential. As the weekend passed, Sonic Dash remained free—this time forever. While retrofitting ad monetization post-release isn’t ideal, SEGA has adapted Dash’s game design to accommodate the ad experience. Now, mobile ads are a key revenue driver for Dash and other SEGA games. “We’ve generated a very sustainable revenue stream, and ads is a big part of what we do,” Evans says. Evans’s vision is bold—but if there’s one thing SEGA is known for, it’s being bold. He tells us that he always looks back at previous SEGA marketing campaigns to see what had been done before by past employees. One theme he wanted to revive in order to market SEGA Forever: the company’s challenger brand ethos. In the annals of video game history, what comes to mind almost more than anything was the battle in the 1990s between SEGA and Nintendo—with SEGA playing the market disruptor. There’s even a Hollywood film coming out called Console Wars, chronicling the fierce rivalry in the ’90s between the two. SEGA Forever, however, represents more than just an opportunity for the company to bring back their classic titles across a myriad of IPs, including Sonic, Streets of Rage, Golden Axe, and many more. Underpinning SEGA Forever is a new strategy for the company’s entire mobile gaming business—one built on network effects. Underpinning SEGA Forever is a new strategy for the company’s entire mobile gaming business—one built on network effects. So what is a network effect? In essence, a network effect occurs when a product or service becomes more valuable to its existing customers as more people use it. The network effect driving SEGA’s new mobile strategy is built around three “pillars,” Evans describes. SEGA Forever, as he defines it, is the first of the three pillars to a new mobile strategy for the gaming giant. In a winner-takes-all economy such as the mobile app stores, a large network of users represents a lot of power. 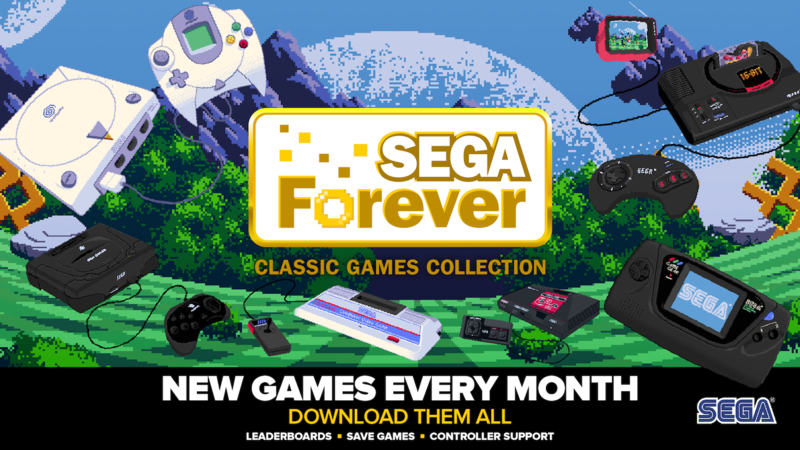 SEGA plans to release a SEGA Forever game for free on the app stores from their back catalog of nearly 1,000 first-party games every few weeks. By releasing a new SEGA Forever title on a regular basis, SEGA can capture a potentially large and powerful audience. Most companies that apply a network effect use an ad monetization model to keep their product or service free while generating a decent revenue stream to fuel growth. 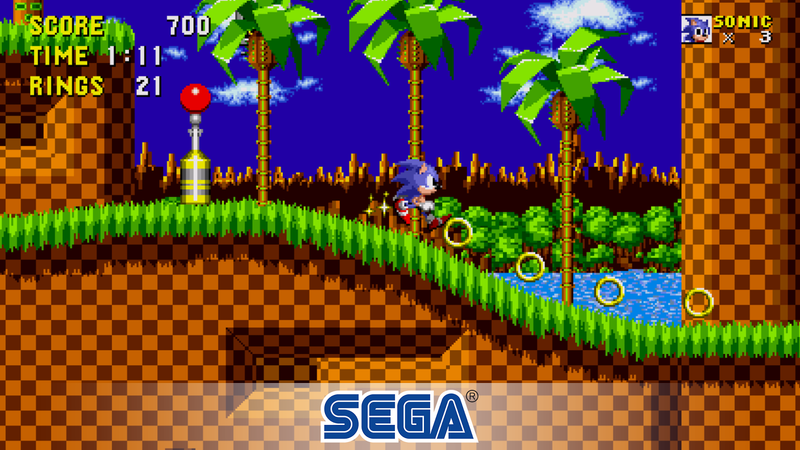 Evans, learning from his Sonic Dash experience, decided to release SEGA Forever games for free, monetizing them with mobile ads across a variety of ad formats, including rewarded video. 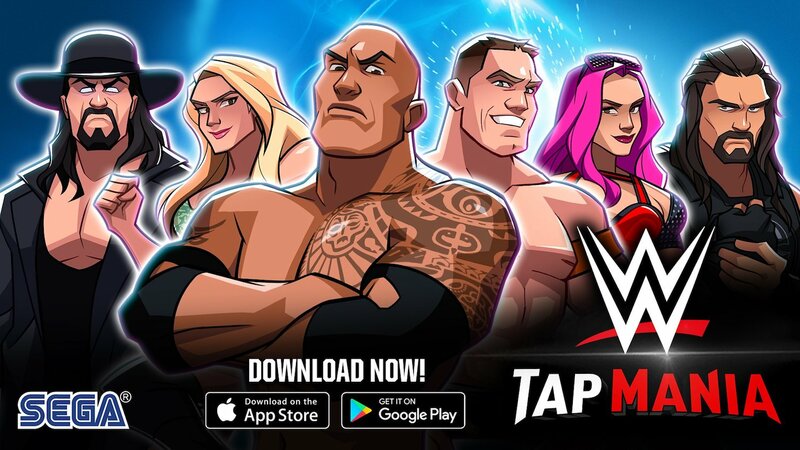 Those idle games for Evans’s second pillar turned into 2017 releases Crazy Taxi Gazillionaire and WWE Tap Mania. Like many games in the idle space, both titles feature hybrid business models with in-app purchases as well as rewarded video ads (Read how Futureplay Games built a company around rewarded video). Through the SEGA Forever titles, SEGA can encourage those players to download their higher revenue-generating idlers—staying locked-in to SEGA’s network. Ranking, and maintaining, a mobile game in the top grossing chart is no trivial matter in today’s mobile landscape. Many of the apps in the grossing charts have been there for quite a while, building an audience over many years. Top studios pour a significant amount of money in paid mobile user acquisition as well to solidify their positioning. This is where SEGA’s first two pillars of their new strategy will eventually pay dividends. For SEGA’s third pillar, Evans sees it as their area to make bets on IAP-driven F2P titles. “We can take traffic generated from the first two pillars, send some of that traffic, and support the third pillar, even though UA will absolutely be a part of the picture,” Evans says. Despite user acquisition costs continuing to rise, SEGA Forever and their branded idle games are their way of taking control of marketing costs and improving margins. Mobile app stores, even close to 10 years on, still present tremendous opportunity for SEGA. Evans has proven he can think outside of the box to gain an advantage. SEGA Forever and the company’s latest mobile strategy built on network effects may just be Evans and SEGA’s best yet.